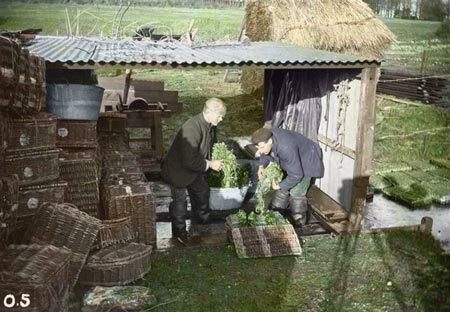 I was asked by The Watercress Company to transform old black and white photos of the Watercress Harvesting and Packaging process. The original black and white photo lacked contrast. 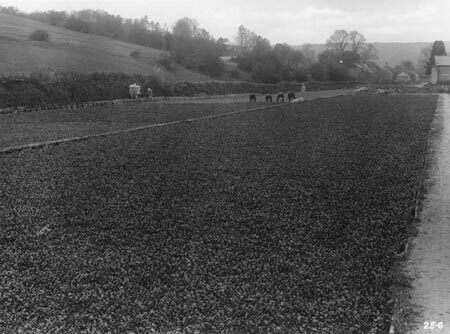 By sampling a landscape photograph taken under similar lighting conditions we can re-construct this old photo into colour. This image has everything - People, Clouds, Buildings, Landscape and we need to be able to re-create that sense of depth as colours become more pastel with distance. The field of watercress has less saturated colouring as the distance from the camera increases. Using a single colour to represent a large area rarely looks natural.